Tequila is Mexico’s best known drink worldwide; it comes from the municipality of Tequila in Jalisco, it is also a product with designation of origin controlled, produced only in five states of Mexico (Jalisco, Guanajuato, Michoacan, Nayarit and Tamaulipas) and regulated by the Mexican Official Standard NOM-006-SCFI-2012. It is made from fermented and distilled juice of Agave tequilana weber variedad azul or “blue agave”, distillation of other varieties of this plant produces mezcal but tequila can be obtained only from the blue agave. Juices may be enhanced and blended together, in the formulation, with other sugars; provided they do not exceed 49% of the composition, under the terms established in the regulations. Mixtures in cold are not allowed. “Blanco” or “Silver”: transparent Product which cannot be “abocado”1. “Joven” or “Gold”: product that can be “abocado”. The product resulting from the blending of Silver Tequila with aged and / or extra aged Tequilas and / or ultra-aged, is considered gold Tequila. “Reposado” or “Aged”: Product susceptible of being “abocado”, matured for at least two months in oak containers or holm oak. 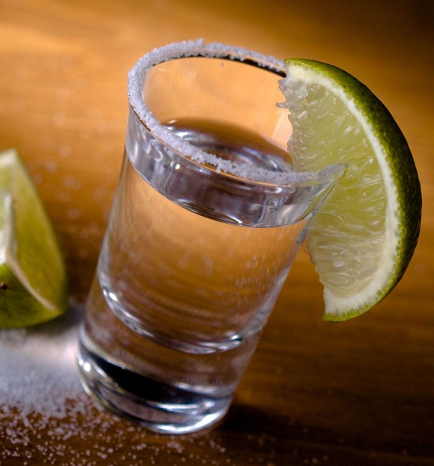 The result of mixtures of extra aged Tequila with ultra-aged Tequila is considered as Tequila Reposado. Añejo or “Extra aged”: Product that can be “abocado”, subject to a maturation process of at least one year in oak or holm oak containers, with a maximum capacity of 600 litres. The result of blending Extra Aged Tequila with ultra-aged Tequila is considered Tequila “Añejo”. “Extra Añejo” or “Ultra aged”: Product susceptible of being “abocado”, subject to a maturation process of at least three years in oak containers or holm oak, with a maximum capacity of 600 litres. 1Abocado: procedure to soften the taste of Tequila, by adding one or more of the following ingredients: Caramel colour, extract of oak or natural holm oak, glycerine and sugar-based syrup.